* Supports up to USB 3.0 devices. 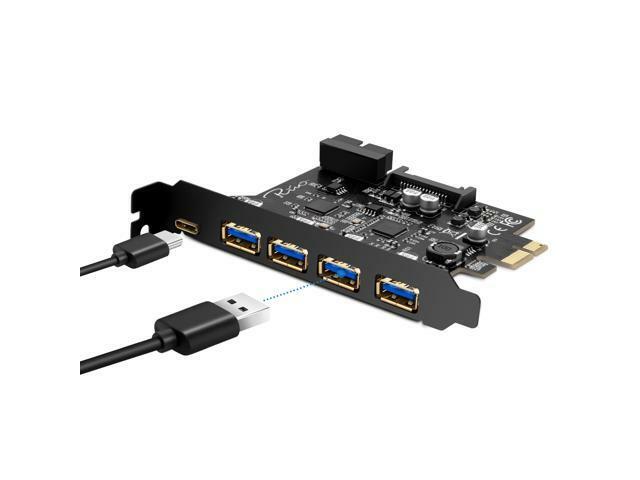 * Motherboard 20P connector available for expanding 2 more USB 3.0 ports to PC case front panel. 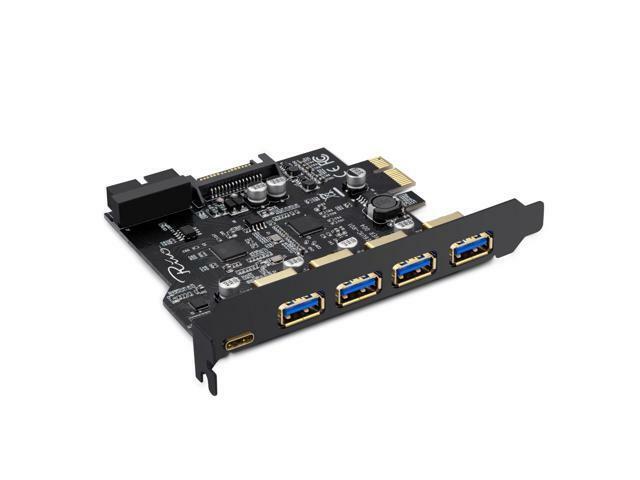 * High-performance chipset NEC uPD720201, provide the stable and reliable USB 3.0 connect with your computer. * Compatible with USB 2.0 & 1.1 specification. * 4 external USB 3.0 Type-C + Type-A female connectors. * One motherboard 20P male connector available for 2 more USB 3.0 ports. * Plug & play and hot swapping capability. * Bus-powered mode and no external power required for most of peripherals. 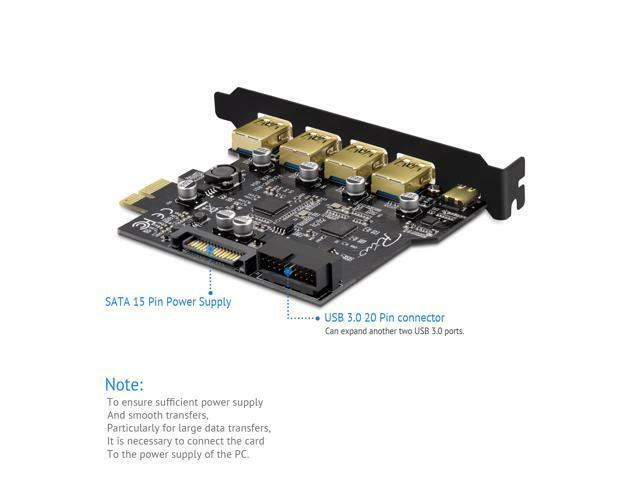 * 15 Pin SATA power connector available for some high current consumption peripherals or 3 above devices at the same time. * Premium material and workmanship, high quality and long lifespan. 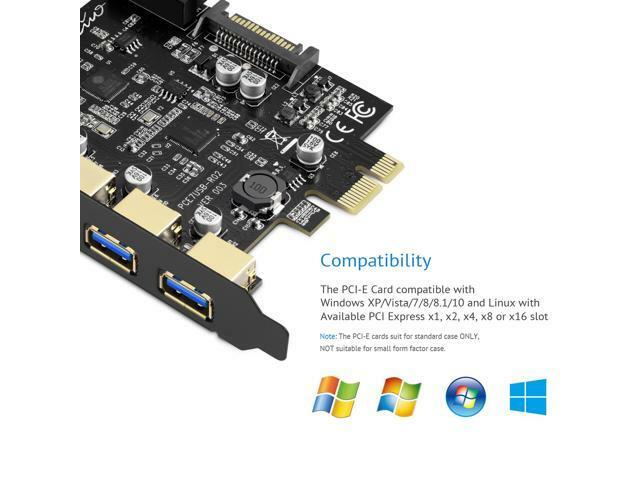 * This PCI-E card is only compatible with standard-sized tower cases (not mini computers). 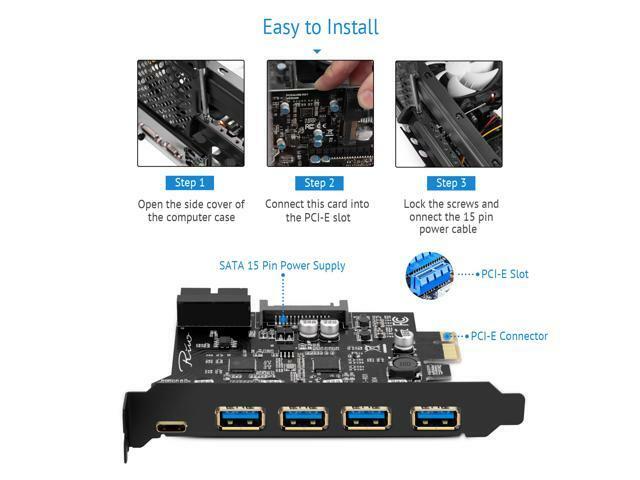 * To ensure sufficient power supply and smooth transfers,particularly for large data transfers,it is necessary to connect the card to the power supply of the PC. 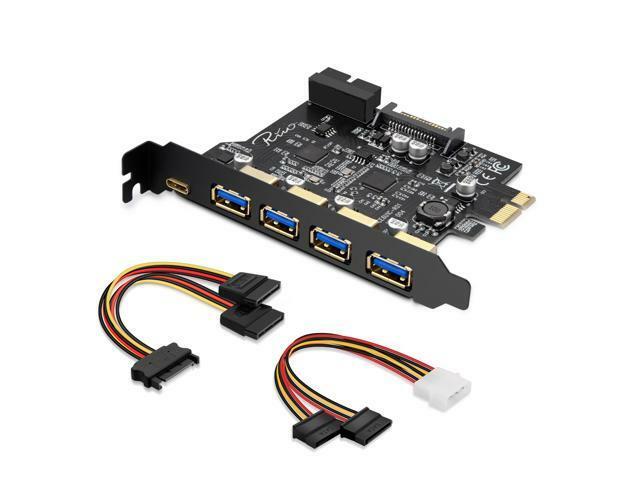 * Internal USB3.0 20PIN Connector need work with USB3.0 20PIN Adapter to Achieve 2x USB3.0 Hosts - USB3.0 20PIN Adapter is not included in Package. 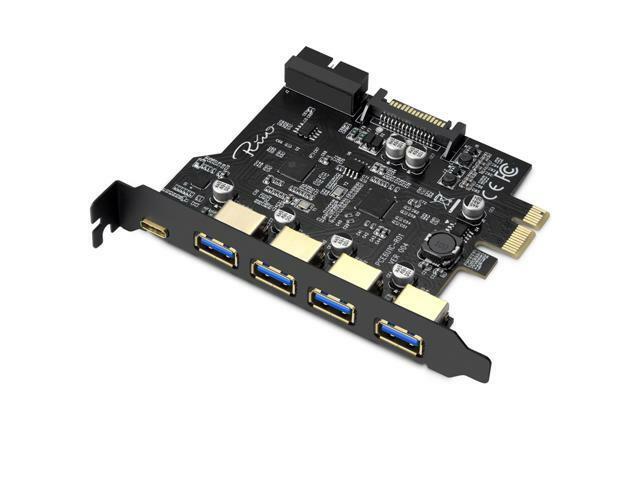 * This PCI-E card is not recommended to Oculus Rift and Kinect 2 users. This item is covered by Rivo_Geek Return Policy.